We wanted to give our contributors another option of donating to the ministry...this side is using PayPal to complete your donation payment. It is secure and protected! Also, we want to take a moment and thank you for your support of our ministry! 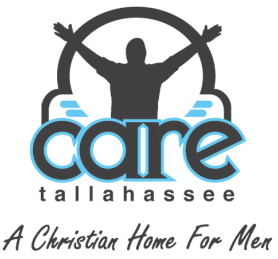 Care Tallahassee focuses on Christ, and we trust that God brings the men HE wants here into our program! He also brings many supporters to walk beside us to help us in times when we need it, but also to just encourage and be faithful in praying for the ministry and those in it! Your giving to our ministry means that God Himself has laid something on your heart, and you are being obedient to his voice. We try to provide everything the men need when they arrive to give them a sense of home and a family atmosphere. A place where they can be safe and not have to worry because God is in control. So, we thank you again and may God continue to bless you! We welcome you to fill in your information below if you have any comments, questions, or concerns! Please keep us in your daily prayers, and the men here as well, as they try to grow each day closer to Jesus Christ! This is God's ministry! If God is speaking to you to help support His ministry here at CARE through prayer, monetary, or supplies for the men, we would love to hear from you! Thank you, and may God truly bless you!